Li Ka-shing may be an octogenarian but he still knows when to buy and sell. An analysis of 16 listed parts of the Hong Kong tycoon’s telecoms-to-energy empire, with a combined market capitalization of more than $170 billion, shows a mixed record of delivering shareholder returns. Yet Li’s flagship holding companies have matched or beaten the market over the past two and five years. For investors, it pays to invest as close as possible to the man himself. 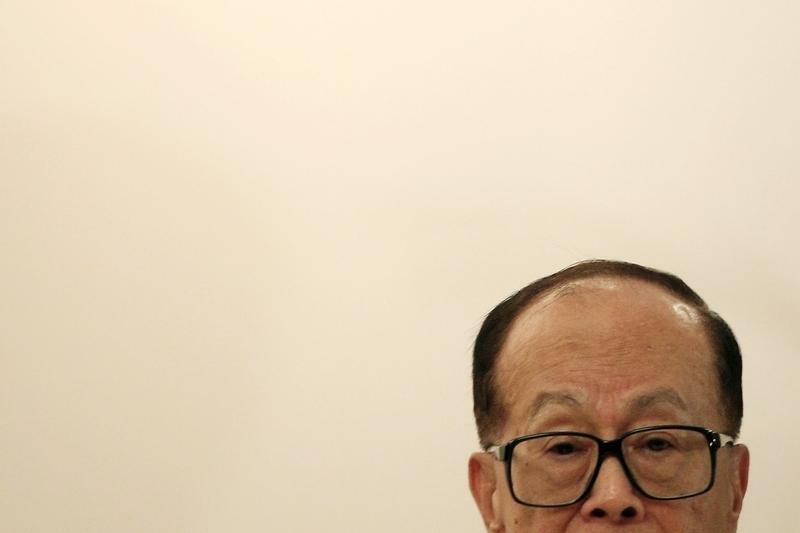 Does Li Ka-shing still have his golden touch? Start at the top of the chain. Total shareholder returns from Cheung Kong Holdings, in which Li directly owns a 43 percent stake, and Hutchison Whampoa have outpaced those of the Hang Seng Index by as much as 3 percentage points over the past two years, and 5 percentage points over five years, according to Datastream. That’s despite a substantial discount to the sum of their parts that dates back to when Li began to invest in 3G technology in 2000. Both companies trade around one-third below their net asset value, according to brokerage CLSA. Look further down the chain and returns are more mixed. The worst-performing bits of Li’s empire have been Hutchison Whampoa’s telecom business in Hong Kong and Hong Kong-listed property investment vehicle Hutchison Harbour Ring. The best have been some of Li’s real estate investment trusts, owned partly by Cheung Kong Holdings and Hutchison Whampoa. Cheung Kong Holdings’ local subsidiary CK Life Sciences has also delivered outsized returns. Li’s latest cash-raising manoeuvres will add complexity. The upcoming listing of Hong Kong Electric, which could be accompanied by raising debt, could release as much as $8 billion for acquisitions, according to one banker close to the deal. After failing to sell supermarket chain ParknShop, Hutchison may now float all or part of its wider retail assets with a likely market value north of $20 billion. Where those funds will go remains a mystery. The challenge of delivering high shareholder returns is growing with the number of cash-flush buyers in Asia. While Li made his fortune in Hong Kong, his investments are increasingly focused on other markets. But the outperformance of the companies that sit closest to Li shows that the Hong Kong tycoon remains a shrewd manager, at least when his own money is on the line. Billionaire and Cheung Kong chairman Li Ka-shing is seen during a news conference in Hong Kong May 27, 2010. Graphic: Does Li Ka-shing still have his golden touch? Hutchison Whampoa said on Oct. 18 that it had shelved plans to sell its Hong Kong supermarket chain ParknShop and would consider a public offering of all or some of its retail giant A.S. Watson. The Hong Kong-listed conglomerate, 43-percent-owned by local tycoon Li Ka-shing, added it would not consider giving up control of any of the A.S. Watson business in the event of any flotation. On Sept. 27, Power Assets Holdings announced plans to spin off and list its Hong Kong electricity business. Cheung Kong Infrastructure owns 39 percent of Power Assets. Cheung Kong Infrastructure is controlled by Hutchison Whampoa. The business will be listed through a trust structure. Units will be offered to the public representing between 50.1 percent and 70 percent of Hong Kong Electric Investments, a fixed single-investment trust. The listing on the Hong Kong stock exchange could raise as much as $5 billion, according a person familiar with the situation.